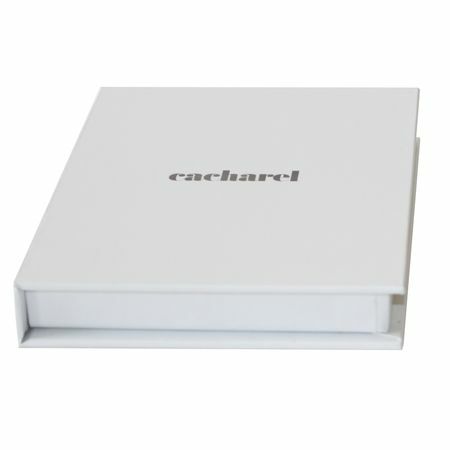 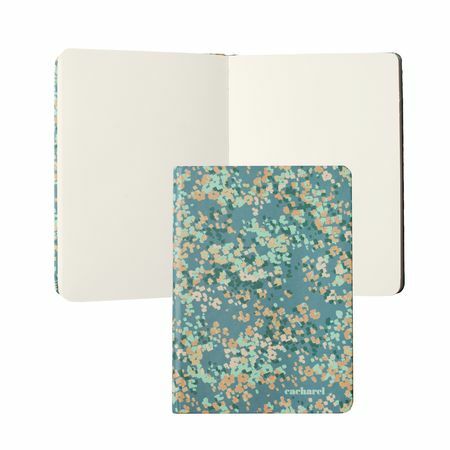 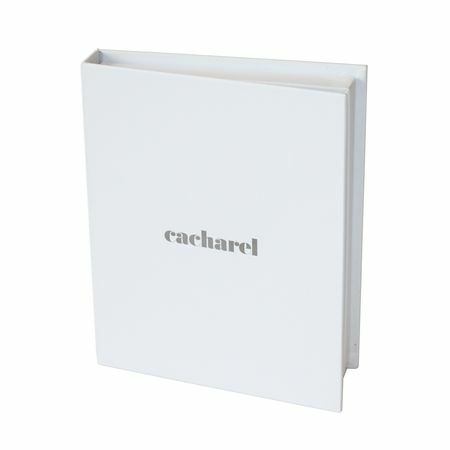 Beautifully feminine notebook ETINCELLE from CACHAREL in bright spring colours. 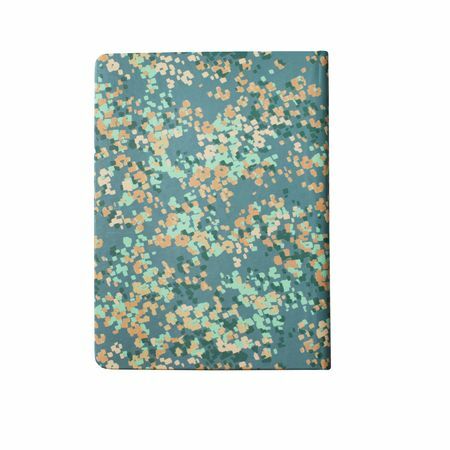 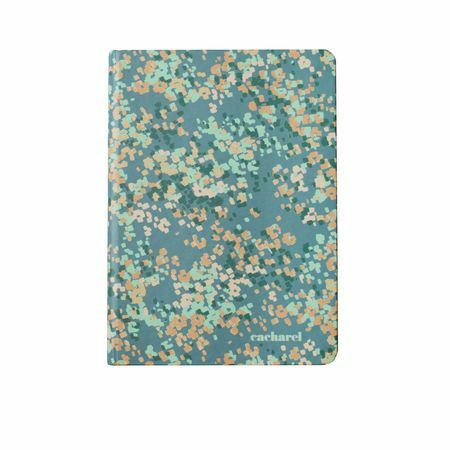 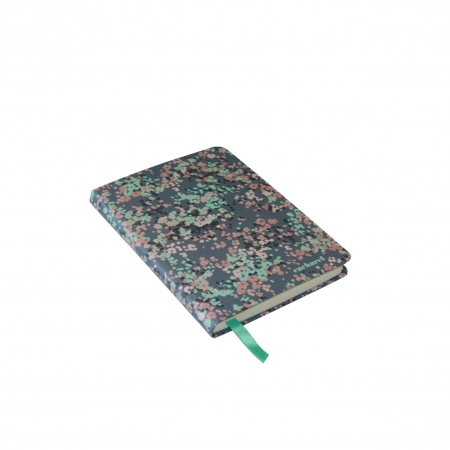 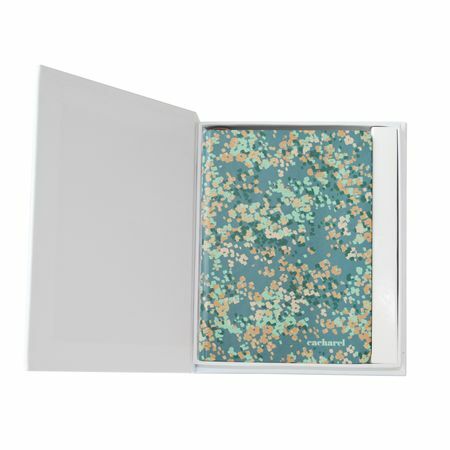 Its hard cover with rounded corners is decorated with a shiny floral print on a matte green blackground. 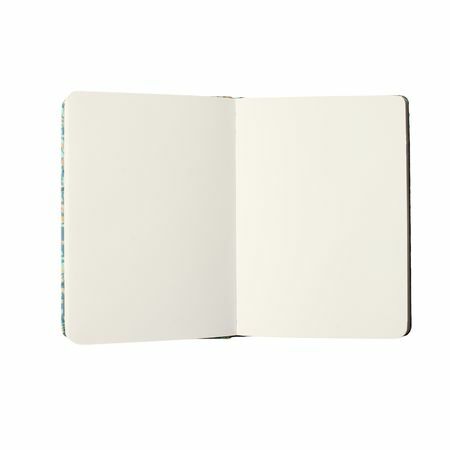 It holds 70 blank pages.